PDF Editing Application for Mac OS X: Add Text, Insert Images, Erase Content & Rotate Pages. What Can PDF Editor Mac Do? You can add text, and move it to any location on the PDF page. PDF Editor Mac allows you to set the text size, font and color. With the PDF Editor Mac, you can easily fill in various PDF form files. Copy to All Pages tool allows you to instantly copy the selected object to each page of the PDF file. You can use this feature to quickly make text or image watermark to the PDF. Lets you rotate pages. From time to time, it is necessary to rotate particular pages of PDF files to add some content such as names of signatories, images, headers, and the like. PDF Editor Mac allows users to rotate pages to 90, 180, and 270 degrees. For convenience, an option to rotate specific pages or all pages is also available. Lets you delete unwanted content. When PDF files are edited, there will always be unwanted content that needs to be removed. Usually, users are urged to convert the PDF into Word first before being able to filter data. This is too much hassle because different software need to be utilized for the conversion and editing, respectively. With this program, deleting unwanted content is done at once. The file just has to be opened, and an eraser tool is available. Moreover, the thickness of the eraser can be adjusted based on the amount of content to be removed. Lets you write and edit text. PDF Editor Mac also allows you to add text. This feature also lets you choose the font color, font style, and font style, in case the added content needs to match the formatting of the existing. This is perfect in filling in various online applications. Lets you draw lines for annotation. In research, proofreading is important. This process requires that the file should allow annotations. However, this feature is usually absent in PDF editors today. Unlike its counterparts, PDF Editor Mac lets users draw lines to expedite the annotation process without having to convert to other file formats. Lets you add images to the PDF file. Adding images is a staple when editing on the Word format. Good news, this is no longer impossible on PDF! With PDF Editor Mac, you can add whatever image you like. Upon inserting a picture on the document, you can also edit the height, width, and orientation. You won't have to worry whether the image will be accepted because the most used file formats are supported. Lets you add a watermark. Protecting intellectual property is a must in the information age. One of the most basic methods of ensuring the safety of an idea in PDF form is to put a watermark. 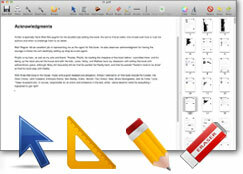 PDF Editor Mac provides this option to its customers. Once a watermark is created, an option to put it on all pages is available for purposes of uniformity and convenience. Now, you are relieved that no one claims your work as their own. 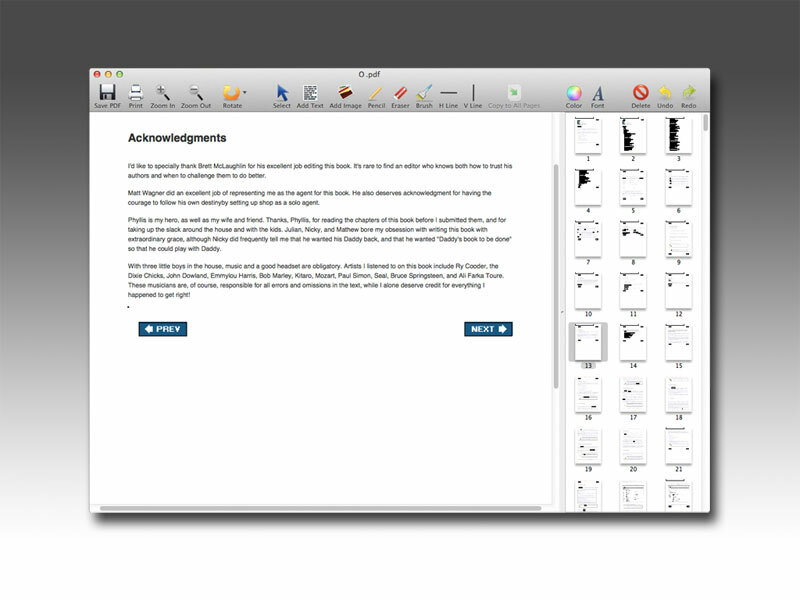 PDF Editor Mac is definitely a gem for Mac OS X users. To be amazed by the features of this innovation, just go to the PDF Editor Mac Download Page and download it now!